It’s something we hear too often – “A man is facing various dangerous driving offences, including impaired driving, that killed one man and injured several other people,” according to a Global Calgary news story. Plus there’s no excuse to drive impaired anywhere in Calgary and surrounding areas, as Keys Please® also services Airdrie, Chestermere and Okotoks. This designated driving service is especially important during the summer. Backyard parties and barbecues begin as a simple night out to enjoy time spent with a few friends and have a few drinks. When people plan ahead, they can still enjoy a night out and get their vehicles home for the next day. The hosts have a responsibility if alcohol is being served to their guest in their homes. The Canada Safety Council suggests that it’s worth knowing what is expected of commercial hosts to assist social hosts in protecting themselves from liability and more importantly, protecting their guests and others from tragic consequences related to over-service and excessive consumption of alcohol. Hosts should be mindful of how much alcohol their guests are consuming. If a guest is visibly impaired or has consumed several drinks before driving, it is foreseeable that the guest will cause a crash. Although summer offers the best weather and driving conditions, summer is also the time impaired driving increases as a night of innocent family and friends could turn deadly if a guest decides to get behind the wheel after consuming too much alcohol. Have a plan. Get there safely. 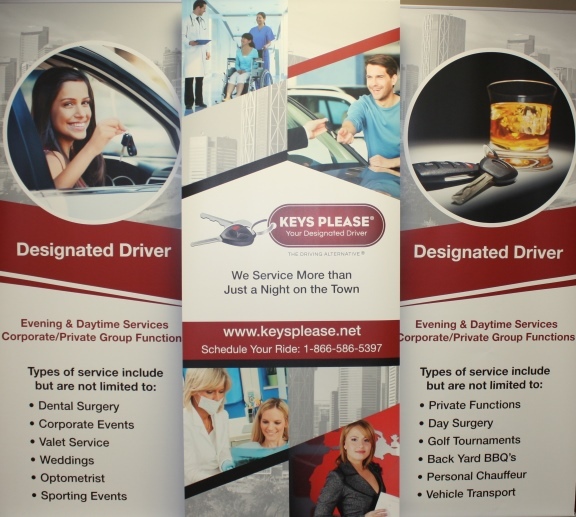 Keys Please® is in the business of ensuring a safer alternative to impaired driving. For media inquires, please contact Ginger Greenwood, General Manager, the Driving Alternative Inc.
General Manager, The Driving Alternative Inc.
Keys Please® has the knowledge, experience, innovation and leadership to shape the future of the Designated Driving Service. In 2015 Keys Please® supplied service to approximately 90,000 people in Calgary. Keys Please® has extended its services into Airdrie, Okotoks and Chestermere. The Driving Alternative® and Keys Please® provide various types of services from designated driving, daytime services, exclusive use, vehicle transportation, valet services, events or function services, chauffeur service and event booths. For more information visit www.keysplease.net.